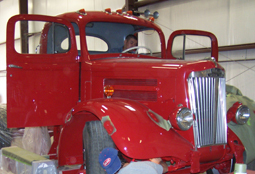 Carl Owens Truck Paint & Body Shop, Inc. is family owned and has been serving East Texas and surrounding areas since 1965. Our #1 goal is customer satisfaction! We want to assist you through the process of collision repair on your company fleet vehicles, RV or tractor trailer. We are a preferred shop for many insurance companies. This enables us to work with you and your insurance company to make this challenging time as simple and unproblematic as possible. Our Truck and RV Collision Center on East Erwin Street offers the best in tractor trailer and RV repair. We are able to perform 3 axle alignments with our Bee Line laser alignment and certified personnel. 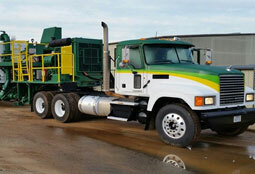 We use one of the largest and best frame machines in the state, a Truck Grabber frame machine. 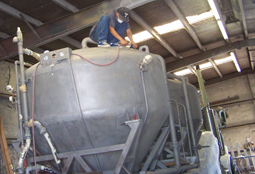 We use various brands of industrail paint, such as, Dupont, Jones Blair, Sherwin Williams and other to match OE truck refinishes and industrial company colors. We offer free estimates at our facility or on-site estimates for your convenience.